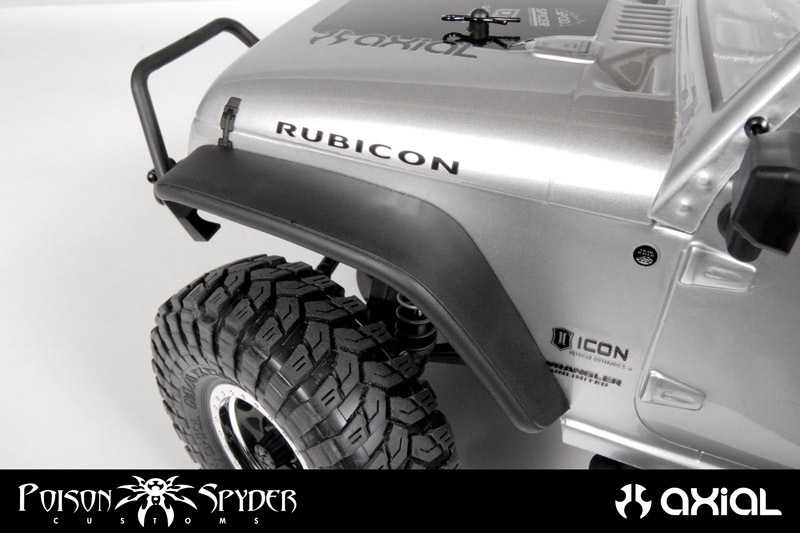 Check out Axial officially licensed Poison Spyder Customs Crusher Flares. These molded plastic tube front fender flares add style and function to any scale off-road vehicle. Great approach and departure angles help when navigating tight technical terrain. Crusher Flares mount with five button head screws that tie into a molded plastic backing to fully capture the polycarbonate body for strength and durability.